SKU: N/A. Category: Nutro Cat. 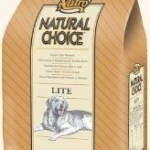 Tags: Adult, Cat, Complete Care, Natural Choice, Nutro, with Salmon. 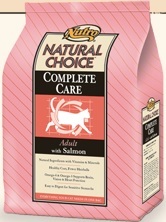 Natural Choice Complete Care Adult Cat with Salmon features natural ingredients with vitamins and minerals to provide everything your cat needs in one bag. It contains highly digestible salmon, chicken protein, rice and an optimum blend of soluble and insoluble fibre to help digestive health. 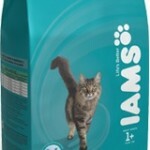 This means more nutrition for your cat and less litter box wastage. Dried Chicken, Corn Protein, Ground Rice, Chicken Fat, Rice Flour, Dried Beet Pulp, Dried Salmon, Natural Flavours, Sunflower Oil, Iodised Salt, Potassium Chloride, Dried Chicory Root, Flax Seed, Choline Chloride, DL-Methionine, Taurine, Vitamin C, Natural Antioxidants (including Mixed Tocopherols and Rosemary Extract), Vitamin E Supplement, Dried Cranberry Extract, Manganese Sulphate, Beta Carotene, Zinc Sulphate, Marigold Meal, Yucca Extract, Niacin Supplement, Vitamin A Supplement, Fish Oil, Copper Sulphate, Ferrous Sulphate, Thiamine Hydrochloride (source of Vitamin B1), Vitamin B12 Supplement, Riboflavin Supplement (source of Vitamin B2), Vitamin B6, Potassium Iodide, Folic Acid.